chocolate chip Archives - Page 2 of 3 - MOMables® - Good Food. Plan on it! chocolate chip Archives - Page 2 of 3 - MOMables® - Good Food. Plan on it! 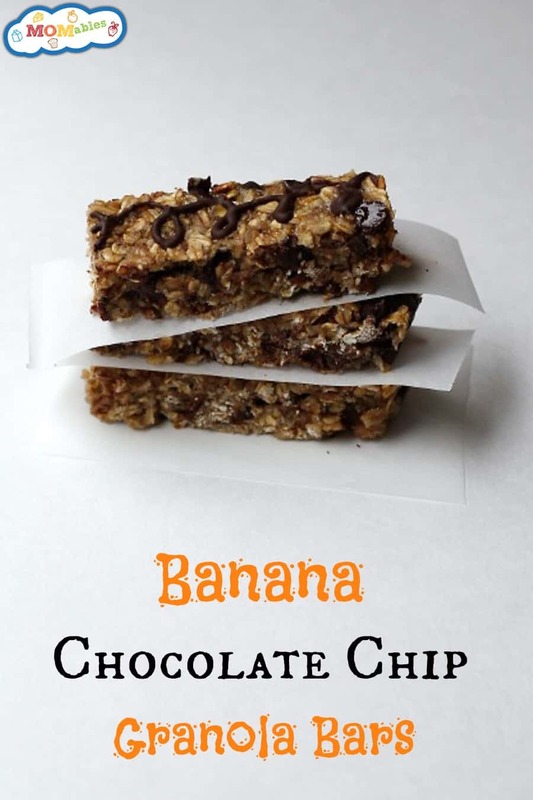 Tag Archives for " chocolate chip "
Granola bars are a great after-school snack. Finding one that has all natural ingredients and is organic and affordable can be a challenge. 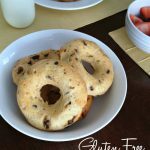 If you have a gluten-free and nut-free kid, even more difficult. 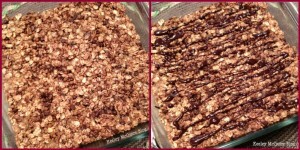 I’ve never made granola bars before. Every recipe I found was either full of tree nuts, peanuts, or binding agents I don’t want to use. For this reason, I’ve chosen to put off creating my own and focusing my attention on nutritious school lunches. 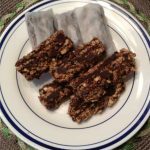 Since starting my daughter on a gluten-free diet, I’ve been experimenting a lot in my personal blog with different recipes and ideas to make them delicious and healthy for my daughter (who also has a peanut allergy). I finally decided to tackle my nemesis: the granola bar. It’s delicious. I know. Try to control yourself from eating it yet! You’ll thank me later. This recipe is really easy to make. You measure and mix the ingredients, spread it on a baking dish, cool, cut, and serve! You don’t have to add the drizzle, but I did. I went there. There’s no going back now; there are never regrets when it comes to chocolate! I wrapped the bars individually in waxed paper and stored them in an airtight container with a lid. That way, we can easily grab bars on the go for lunches or snacks! These have been a big hit with the fella and my Little Miss! The smell of a banana chocolate chip muffin, but the yummy texture of a granola bar. From my family to yours, ENJOY! On an ungreased baking sheet, spread the oats out evenly, and bake at 350F for about 10 minutes, stirring once in the middle of that time. Remove the oats from the oven, leaving the oven ON, and let them cool completely. While the oats are cooling, you can mix together the remaining ingredients in a large bowl. After the oats are cooled, add them to the bowl, and mix thoroughly. Lightly coat an 8×8 baking dish with cooking spray, and place the mixture evenly into the dish, using your fingers to help push it down flat and into the corners. After cooking, allow to cool completely. After the bars have cooled and the chocolate has hardened, you can slice it however you prefer. I chose to slice down the middle and into six even cuts lengthwise to make 12 bars. Looking for something to bake with your kids? Baking together can be a great bonding activity. There is almost nothing better than the smell of freshly baked cookies! 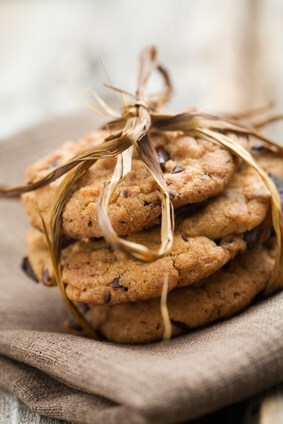 Your kids will be delighted to see a homemade cookie as dessert in their MOMables lunch. 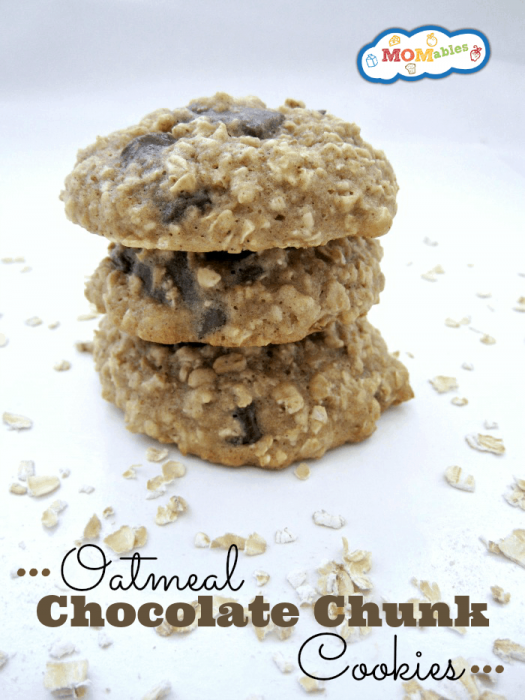 Oatmeal Chocolate Chunk Cookies are simply my favorite cookies ever. I tend to make up to two batches a month, and we eat them as snacks or as dessert throughout the month. I absolutely love making cookies from scratch. Now, I have made these same cookies for years, but this time I decided to try something different. I wanted to make these cookies healthier, so I decided to switch some of the butter for applesauce. After that switch, I found that my batter seemed a little runny, so I added a little bit more flour and more oats. The finished result was perfect. The cookies had a cake-like texture and they were delicious! You could take it a step further and substitute some of the all-purpose flour for whole wheat flour as well. Everyone in your family will love them and ask you to make them again! 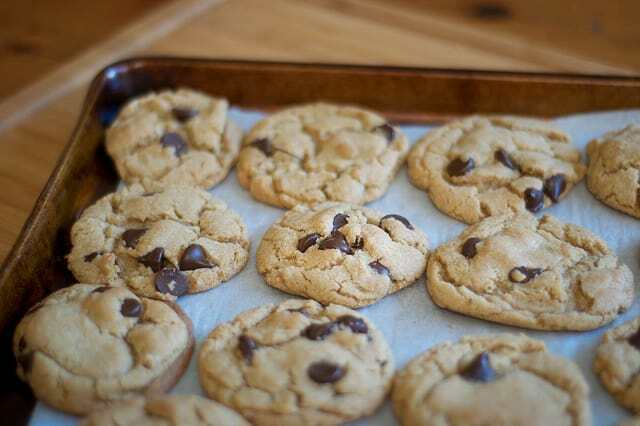 The best part about these cookies is that they are so easy to make. Once you measure out all the ingredients, you’ll see that everything goes into one bowl and your dough comes together very quickly. Tip: Use an ice cream scoop for perfectly shaped cookies. Cookies are always a yummy addition to the lunch box—if they last that long! Preheat the oven to 350 F, and line cookie sheets with parchment paper, or silpat liner. Add the applesauce, sugars, salt, cloves, baking soda, cinnamon, and baking powder to the butter, and mix well. Add the vanilla and eggs, and blend. Add the flour, a little at a time, and mix until fully blended. Add the oats, and mix with a spoon. Add in the chocolate chunks, and mix with a spoon. Using a 3-tablespoon ice cream scoop, drop the cookies onto the cookie sheet. Bake the cookies for 12 to 13 minutes. Leave the cookies on the cookie sheet to cool for a few minutes. Then remove the cookies from the cookie sheet onto a cooling rack, and allow them to finish cooling. 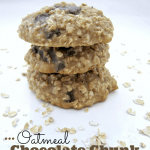 If the batter seems too thin, you can add more oats if necessary, one spoonful at a time. Do you know what’s harder than packing lunches? 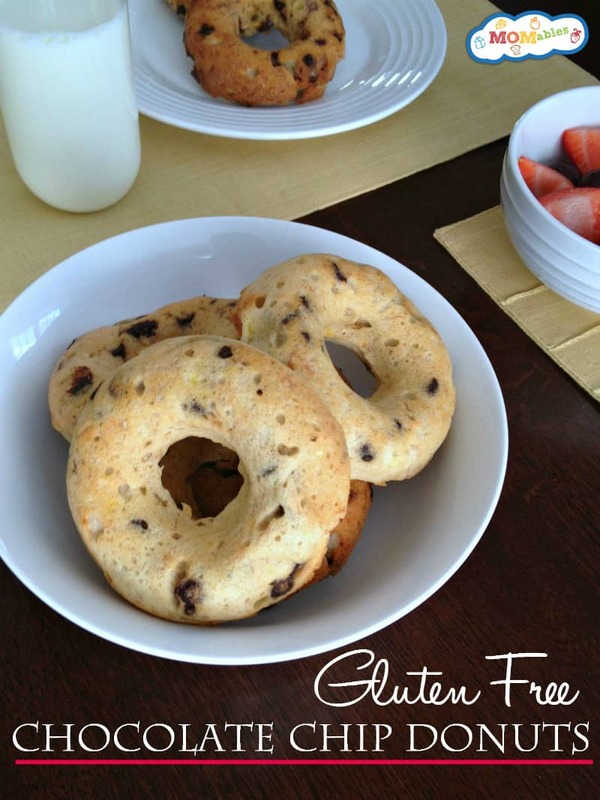 Making grab-and-go breakfast items that are allergy-friendly! Nutritious grab-and-go breakfast items that are homemade aren’t always easy to find. I do know that breakfast is an important meal because I want to give my daughter nutritious foods that will help kick-start her day. Unfortunately, I don’t always have time to sit around the table; instead, I’m packing lunches, trying to drink a cup of coffee, and tying her shoes while rushing out the door to catch the bus or beat traffic. The truth is that kids love donuts. Parents love donuts. Their round shape is iconic with mornings. They’re easy to eat on the go and can be made not only healthier but also allergy-friendly to help you get out the door on time. You can make a batch of these over the weekend and freeze for future mornings. Just pull one the out of the freezer, let it stand at room temperature while you help get everyone out the door, and then toast for a few minutes. Of course, you can enjoy them fresh! Another added bonus: They are baked. This recipe is gluten-, nut-, dairy-, and egg-free. Preheat the oven to 350F. Coat your donut pan with cooking spray and set aside. If you’re using a flax egg, first make your egg by combining 1 tablespoon of ground flax with 3 tablespoons of warm water. Mix and set aside for 5+ minutes until it becomes gel-like. In a large bowl, mash the bananas. Add the applesauce, yogurt, maple syrup, vanilla, and egg. Mix well. In another bowl, combine the flour, xanthan gum, oats, baking powder, baking soda, salt, and cinnamon. Pour the dry ingredients into the bowl with the banana, and mix until well combined. Add the chocolate chips, and mix again. Spoon the batter into the donut pan evenly, filling to the top. Bake for 22 to 25 minutes, until a toothpick comes out clean. 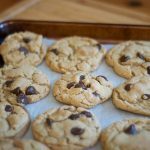 Need an easy gluten-free chocolate chip cookie your kids will love? This is it! 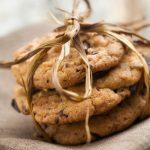 Our whole-wheat chewy chocolate chip cookies were an instant Internet and Pinterest hit, thank you! Many of you have e-mailed and asked for a gluten-free version of the chewy cookie. We tested more than a dozen recipes, and I’m happy to share the winner. Heat the oven to 375°F. Combine the flour blend, baking powder, baking soda, and salt in a medium bowl. Set aside. Combine the butter, brown sugar, and granulated sugar in a large bowl. Beat at medium speed, scraping the bowl often, until creamy. Add the eggs and vanilla. Continue beating, scraping the bowl often, until well mixed. Reduce the speed to low. Beat, gradually adding the flour mixture, until well mixed. Stir in the chocolate chips. Drop the dough by rounded tablespoonfuls, 2 inches apart, onto ungreased cookie sheets. Bake for 9 to 12 minutes or until light golden brown. (DO NOT OVERBAKE.) Let them stand for 1 to 2 minutes, then remove them from the cookie sheets. * Gluten-Free Flour Blend: To make this flour blend, combine 2 cups rice flour, 2/3 cup potato starch, 1/3 cup tapioca flour, and 1 teaspoon xanthan gum. Use the appropriate amount for your recipe, and store the remainder in a container with a tight-fitting lid. Stir before using. What’s better than a cookie? 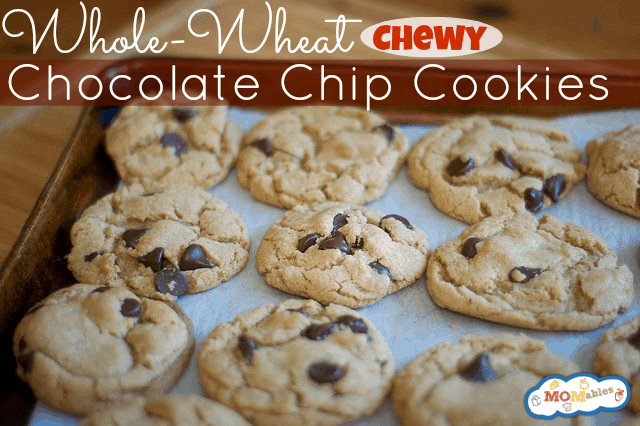 A whole-wheat chewy chocolate chip cookie, of course! This cookie will become the star of any lunch box. My kids love “chewy” cookies. They prefer warm and chewy versus crunchy and dunking. While having a glass of milk and cookies can be satisfying and ritualistic, we rarely do that at our house. No, I’m not the cookie Nazi; however, I like my cookies to be a bit more substantial and wholesome. I make a batch every week and place one or two inside their lunch box. They love having a “treat,” and I like knowing the ingredients that are in it. Double or triple the recipe, and freeze uncooked dough for future baking! Melt the butter in a heavy-bottom medium saucepan over low heat. Sift together the flour, salt, and baking soda, and set aside. Pour the melted butter into a mixer’s bowl. Add the granulated sugar and brown sugar. Cream the butter and sugars on medium speed. Add the eggs, milk, and vanilla extract, and mix until well combined. Slowly incorporate the flour mixture until thoroughly combined. Stir in the chocolate chips. Chill the dough. When ready to bake, preheat the oven to 375F, and line baking sheets with parchment paper. Scoop the chilled dough onto the baking sheets. Bake for 10 to 14 minutes or until golden brown, checking the cookies after 7 minutes. Rotate the baking sheet for even browning. Cool completely, and store in an airtight container.